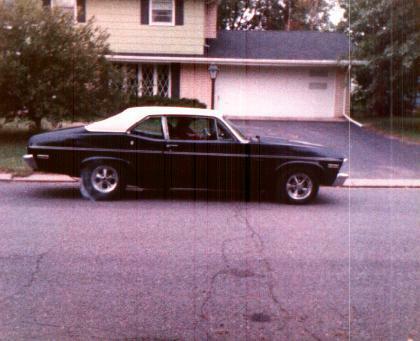 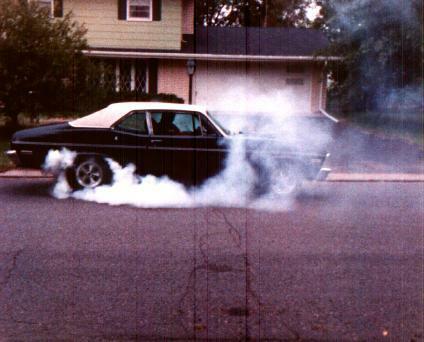 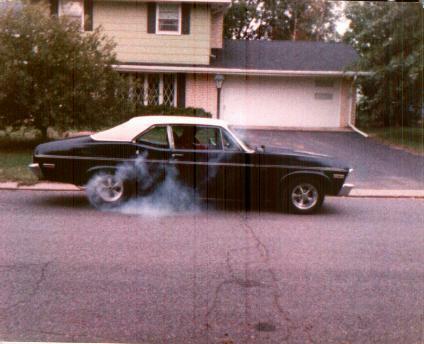 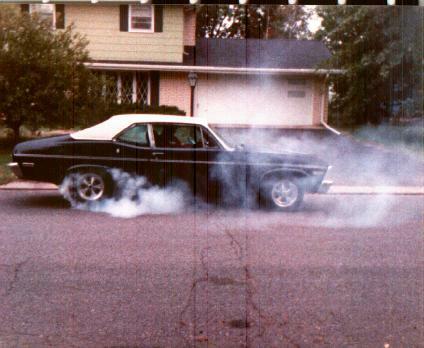 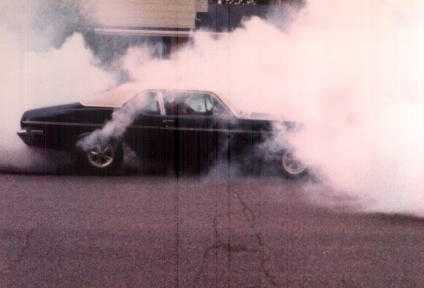 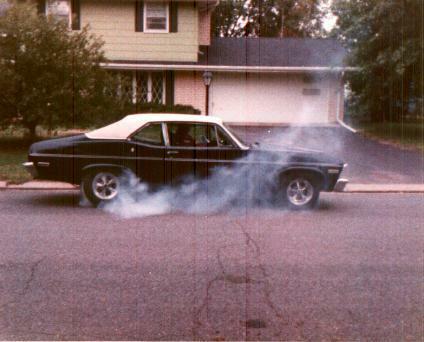 This is Bruce's '72 Nova in 1988 when it had a stock '78 454, TH350, and a 2.73 peg-leg rearend. 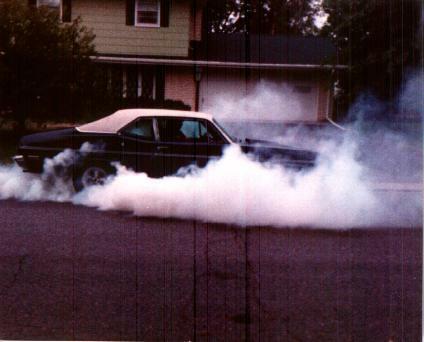 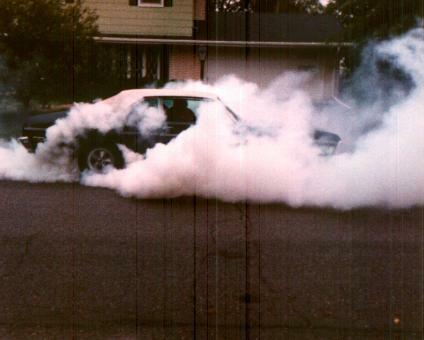 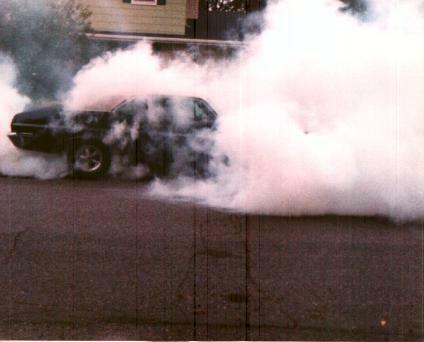 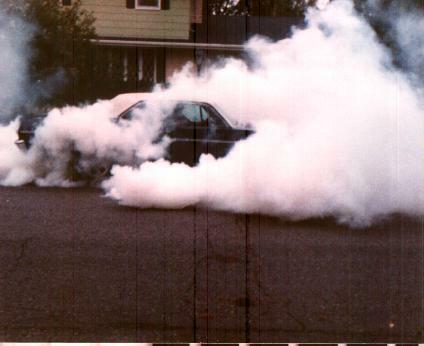 The tire smoke is from just the right tire. 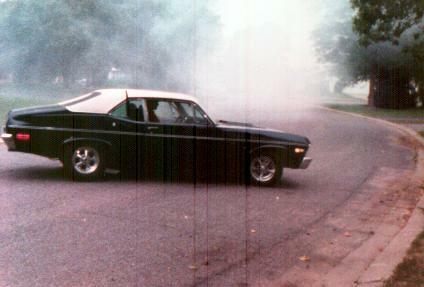 Bruce's mom actually took the pictures, on the street right in front of their house.